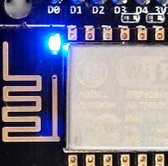 Just a note: The internal / soldered-on blue LED on most NodeMCU boards is on Pin1, it's on pin 2 on some, and on mine, it is addressable via Pin 4. Pin 1, pin 2, pin 4? There's a bit of a confusion, also because some cheap boards have non-canonical wiring. My impression is that everyone referring to the LED being on pin 1 or 2 are actually talking about the LED being on GPIO pin 1 or 2. 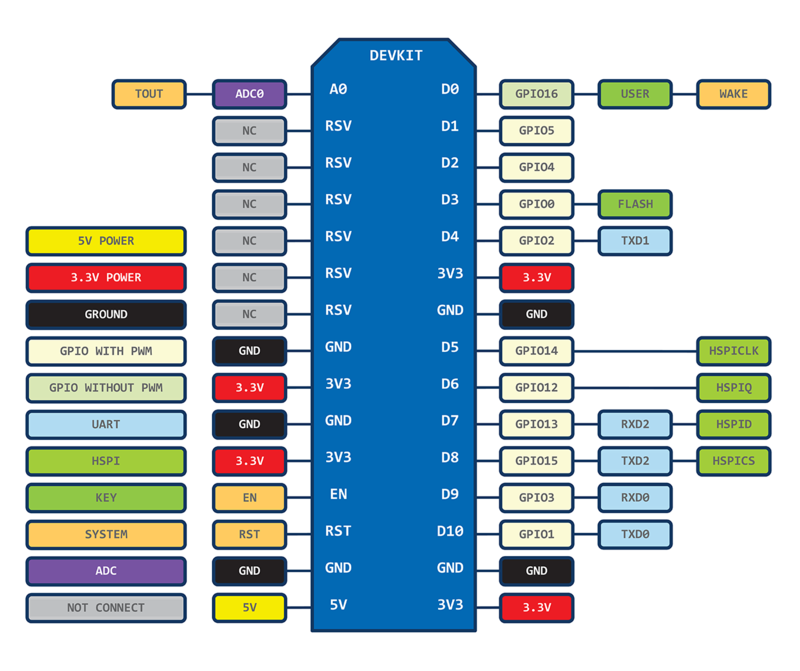 And a look at the pinout schematic explains why we here are using Pin4 - because the NodeMCU dev board has GPIO pin 2 broken out as pin "D4".